Exclusive to the Kerry GAA Store and designed by the Kerry senior footballers!!!! 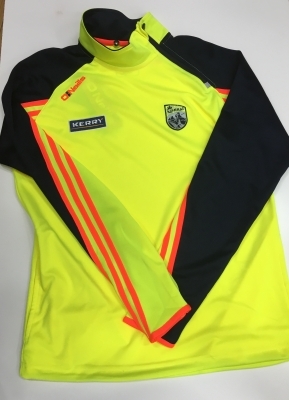 Adults Side-Zip with yellow body along with navy sleeves and orange stripes. Available in sizes Small to 2 Extra Large.